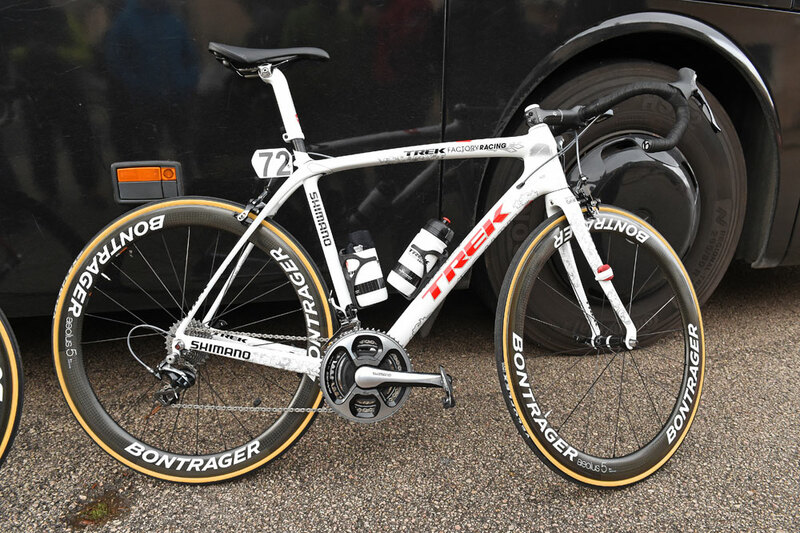 Is this the bike that will carry Fabian Cancellara to victory in Paris-Roubaix? Take a look at the custom intricate paint job that adorns the Swiss star's bike. Fabian Cancellara recently rode all the Challenge Mallorca events in a bid to get in the necessary racing miles, to hone his form ahead of his up and coming Classics campaign this spring. 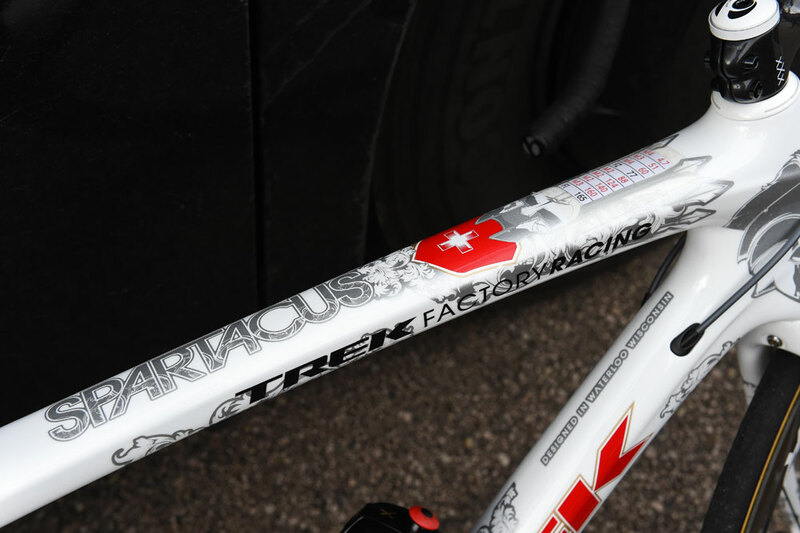 Cancellara’s bike features a beautiful and incredibly intricate custom paint job that celebrates his nickname ‘Spartacus’. Rather than choosing to ride the aerodynamic Trek Madone or featherweight Emonda, Cancellara opted for Domane during Challenge Mallorca. 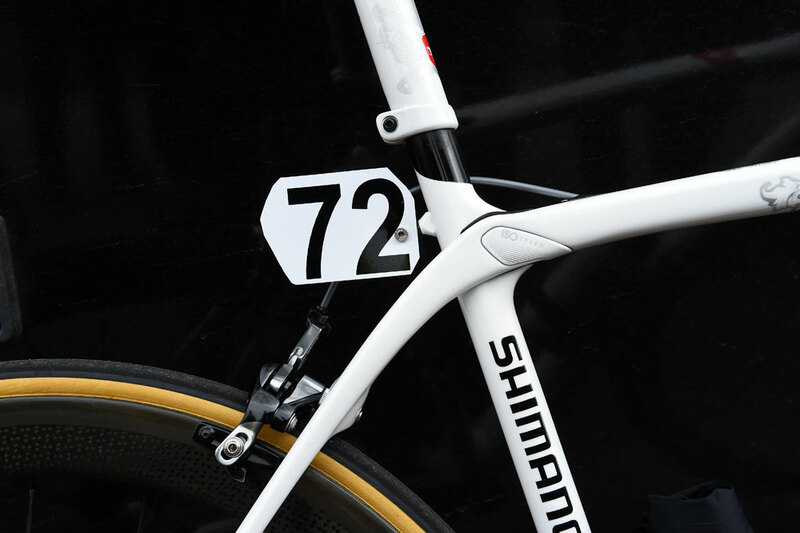 The Domane is the team’s bike of choice for the cobbled classics as the frame is designed to dampen rough surfaces. In addition, the front end (stack) is higher than the Madone and Emonda. The roads of Mallorca tend to be very smooth, so we’re assuming that Cancellara is wanting to get plenty of miles in on the Domane, so that he can be totally comfortable with it before the one-day races begin. SRM chainset and Dura Ace pedals. 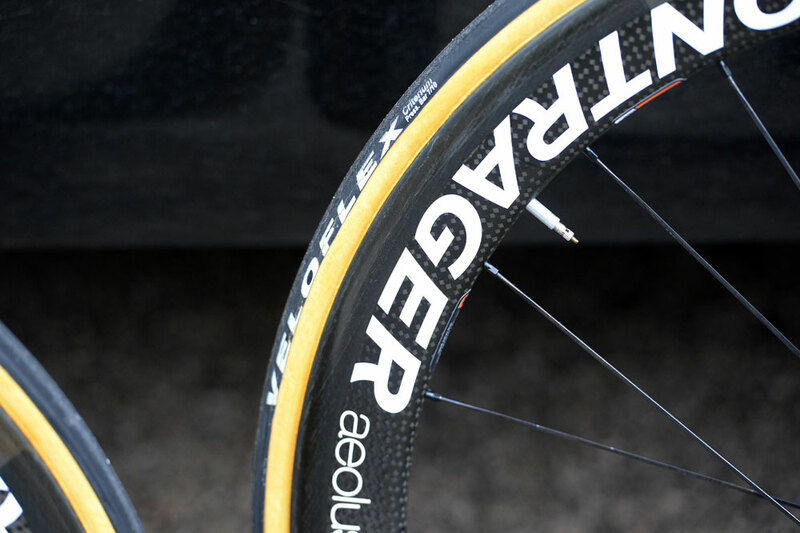 Cancellara uses 53 39t chain rings. 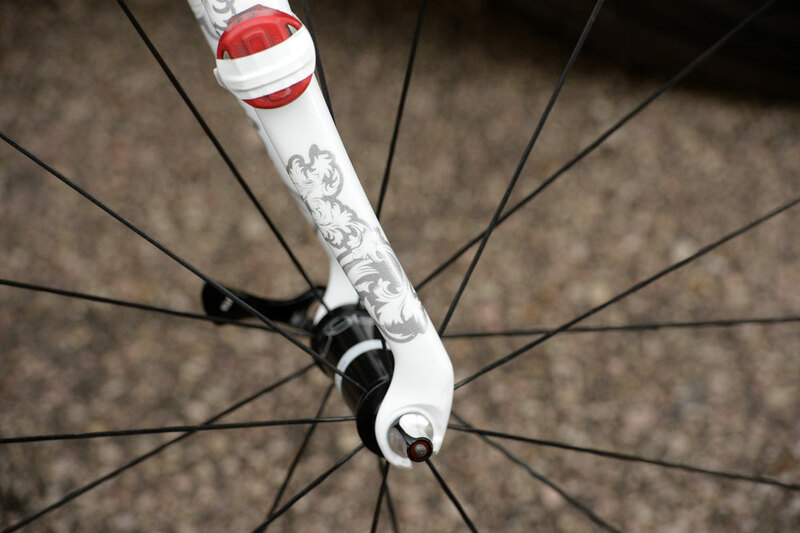 The unique design features a beautifully painted Greek Hoplite helmet on the head tube. 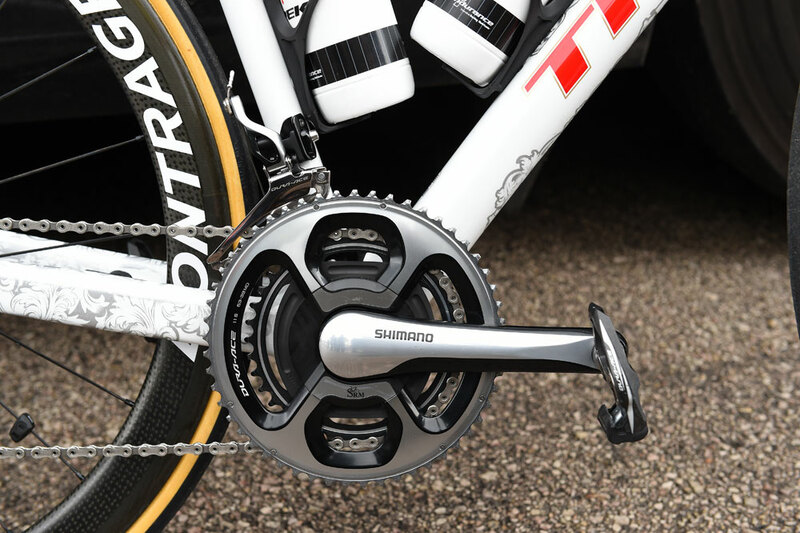 Interestingly Cancellara’s bike also features mechanical Shimano Dura-Ace and not Di2. We recently photographed Ryder Hesjedal’s bike at the Tour Down Under, with Hesjedal also favouring a mechanical groupset over electronic. Di2 has a very light action, so on rough surfaces and cobbles, some riders worry they might change gear accidentally as their hands shake. Consequently some prefer to use mechanical group sets. Whilst this isn’t necessary for the smooth roads of Mallorca, we suspect Cancellara wants to get used to his equipment in a racing environment. Note the speed sensor magnet on the above photo. The speed and cadence sensor itself is neatly integrated into the chain stay. 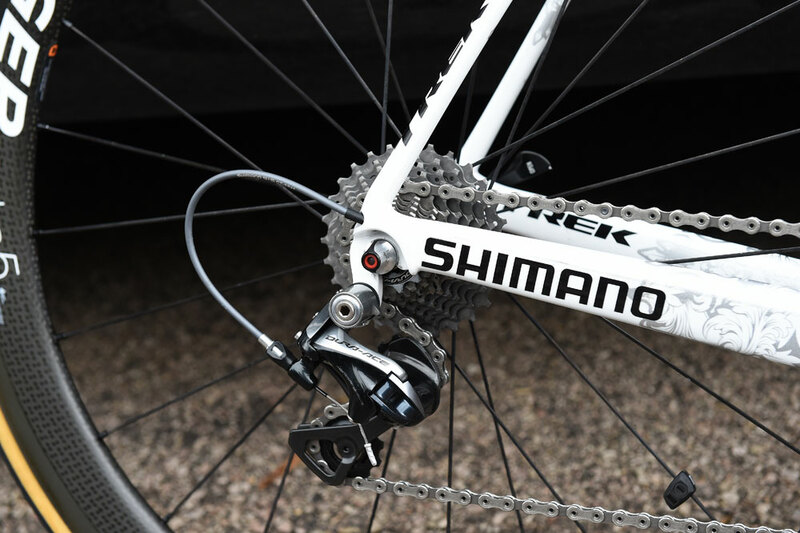 The bike is also equipped with an SRM power meter. In case you were wondering, the red object taped to the fork is a timing chip. 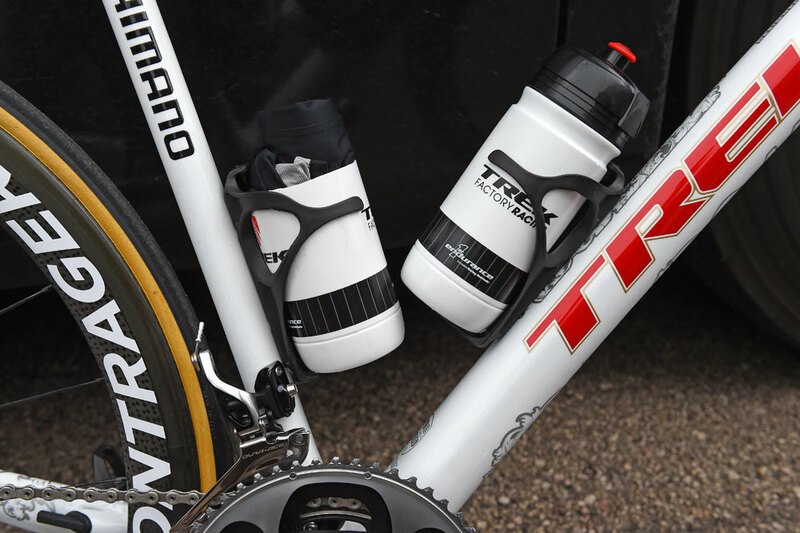 A familiar sight to club cyclists of all levels is Cancellara’s cut down bidon, used to stash the all essential rain/wind jacket. The ISO Speed dampener at the seat post and top tube junction is designed to move, to reduce shocks and vibration from rough surfaces. Ideal for cobbles.